Even if your cabinets are busting at the seams, you still need these things! 1. A KitchenAid stand mixer that'll basically do all the work for you. Just toss all the ingredients in and let this baby do its magic. 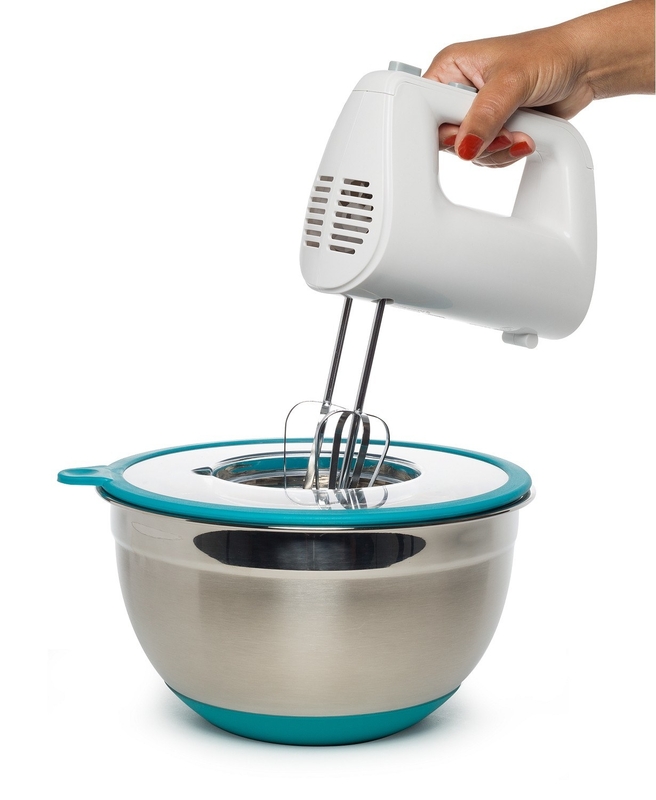 The mixer has a five-quart stainless steel bowl and comes with a coated flat beater, a coated dough hook, a six-wire whip, and a pouring shield to help you whip up any delectable bake with ease. Want more info? Check out Here's Why A KitchenAid Mixer Might Change Your Life. Get it from Amazon for $279.95+ (available in 44 colors). 2. An 7-in-1 Instant Pot so you can dump a bunch of ingredients into one pot, make a yummy meal, and clean up faster than you can say bon appétit. This baby serves as a rice cooker, pressure cooker, slow cooker, steamer, sauté pan, yogurt maker and warmer. Pinterest has been all about the Instant Pot for a few years and you should really hop on this bandwagon. 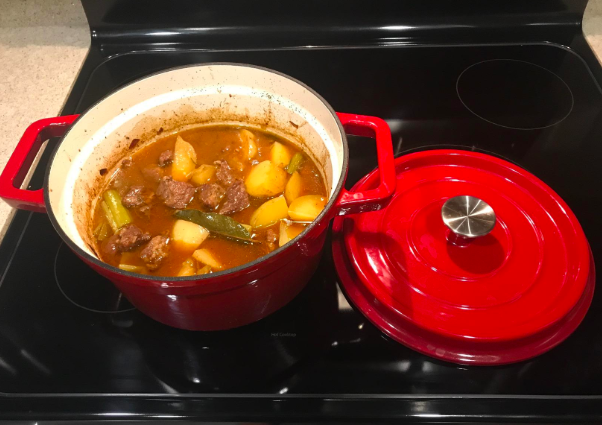 Just check out a BuzzFeeder's review and Instant Pot recipes that'll basically cook themselves. Still unconvinced? Look at all the yummy Amazon reviewer photos. Get it from Amazon for $79.95+. 3. 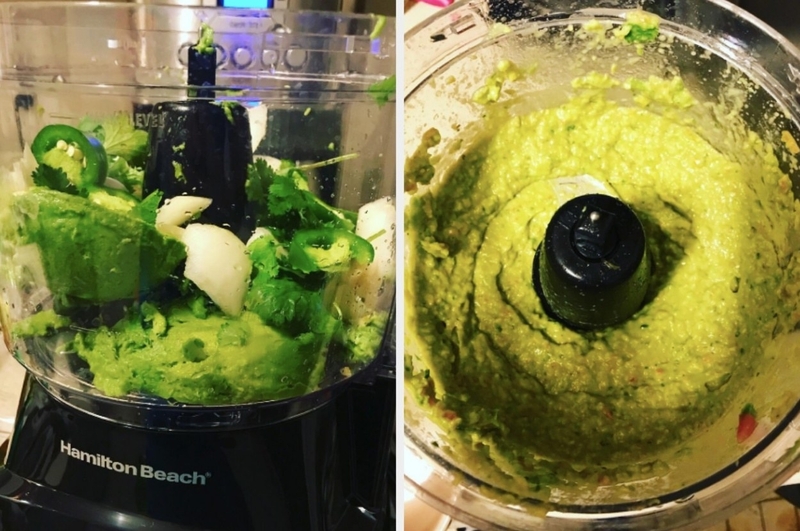 A mighty food processor that can can dice and chop anything from a carrot to an onion, puree delicious dips/sauces, and grate your favorite cheese. No more onion tears, smelly hands, or saucy messes is a huge win, imho. It has a two speed pulse control and a 450 watt motor. The large chute feed can fit a whole block of cheese and reduces pre-cutting. 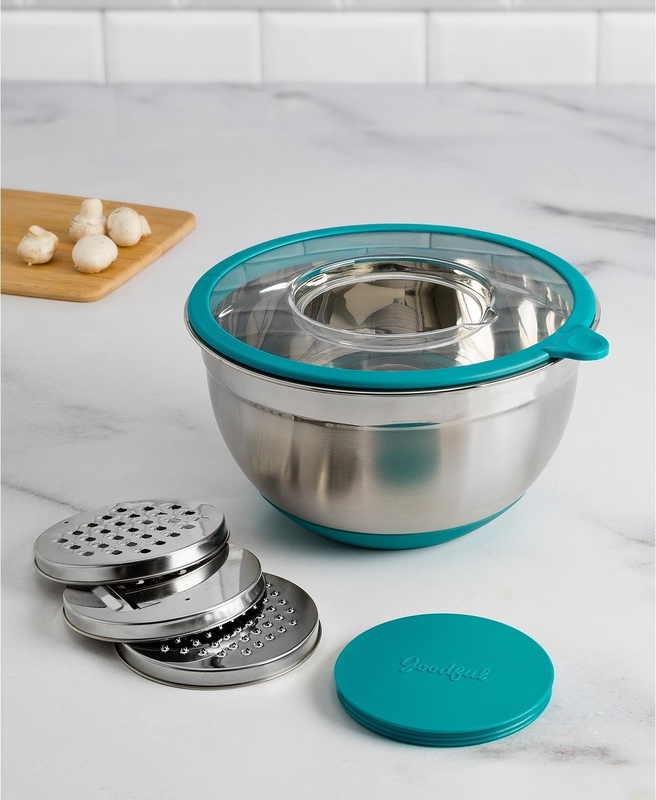 The bowl, lids, and blades are dishwasher safe, making chopping, mixing and pureeing easy and mess-free! Get it from Amazon for $38.96+. 4. A three-tier steamer so you can kill two birds with one stone by popping your veggies in and letting them steam while you fold your laundry. The baskets are dishwasher safe! You can also make eggs and rice in this nifty lil' contraption, so you can multi-task during meal prep and breakfast as well. 5. A four-in-one vegetable chopper that'll keep your kitchen nice and tidy during meal prep. Liquids won't drip off the side of your cutting board, veggies won't fly across the kitchen, and you can easily transfer them from the container to the pot. This comes with three interchangeable blades for dicing, chopping and slicing. You can also use this to keep your prepped vegetables nice and fresh in the fridge until you're ready to cook with them. Hand-washing is recommended, but you can wash this in the top rack of your dishwasher. 6. A fat skimmer to quickly and easily separate fat from cooking juices so you can use all that flavorful yumminess to make a delicious sauce or gravy. 7. A five-blade spiralizer set so you can have zoodles or curly fries pronto. 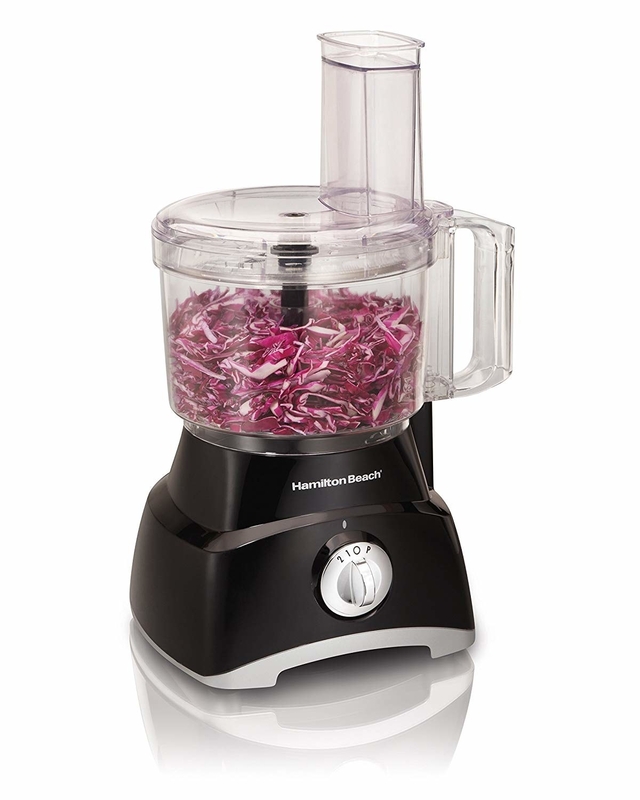 It's designed to handle even the hardest of veggies, so just pop 'em in, crank the handle, and you'll be on your way. The set includes five blades: a 2mm blade for angel hair zoodles, a 3mm blade for fine shredding, a coarse shredding blade, a curly fries blade, and a flat blade that creates ribbons. It's dishwasher safe for a hassle-free clean up. 8. An air fryer that crisps up food using less oil but still gives your chicken cutlets that amazing crunch that you love. You can also grill, roast, or bake anything you want with its innovative heating technology designed to cook your food evenly and to the perfect temperature *without* having to use a thermometer. This air fryer has a non-stick pan, heat resistant handle, and a detachable dishwasher safe basket, so it’s just as easy to cook the food as it is to clean up! It comes with an auto shut off timer (0–30 mins) and adjustable temperature settings (180°F-400°F). You'll also receive a recipe book to help you prepare your favorite fried, baked, or grilled food. 9. A breakfast sandwich maker so you can fulfill your BEC craving using just one device. To clean up, pop all the removable parts in the dishwasher. Prepare your favorite breakfast sandwiches with anything from pre-cooked meat, eggs, cheese, or your favorite veggie toppings! 10. 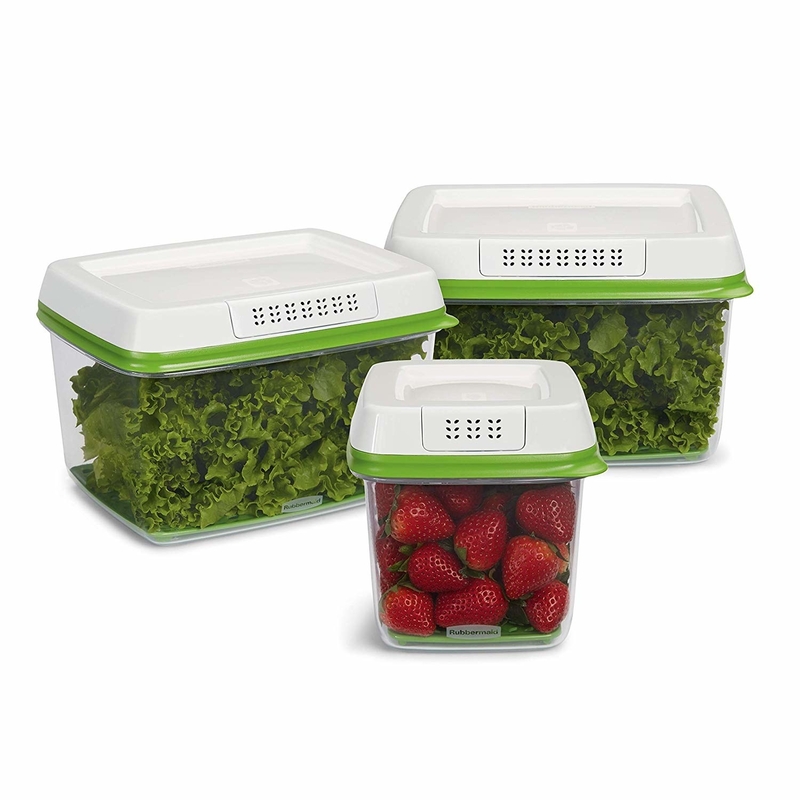 A set of produce savers that'll keep your fruits and veggies fresh much longer than a normal storage container can. 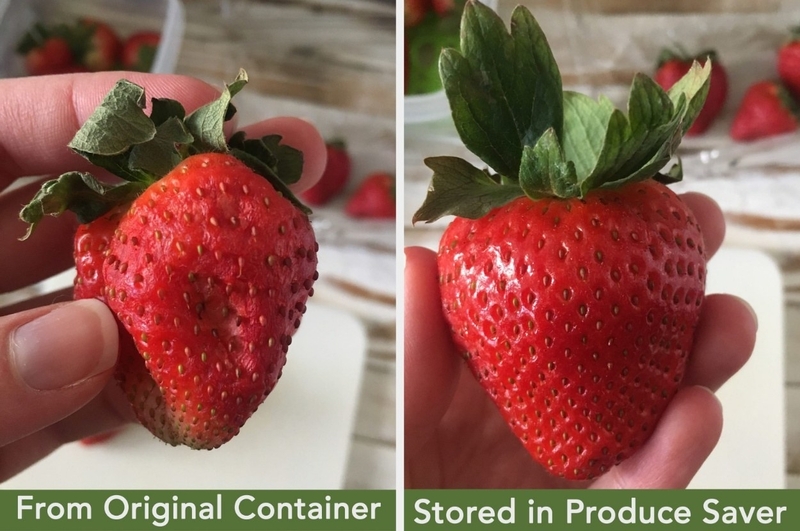 Check out a BuzzFeed writer's in-depth review on these produce savers. Get a set of three from Amazon for $44.49. 11. A George Foreman grill so you can grill your favorite foods all year round. The plates are removable, so you can easily scrub them instead of dumping the whole device in the sink. 12. A rapid egg maker so you can get perfect and easy-to-peel hard boiled eggs every time, using absolutely zero effort. You can make hard boiled eggs, soft boiled eggs, poached eggs, scrambled eggs, and individual omelets all with this one gadget! The auto-shut off function prevents overcooking, and the buzzer will alert you when your eggs are ready. 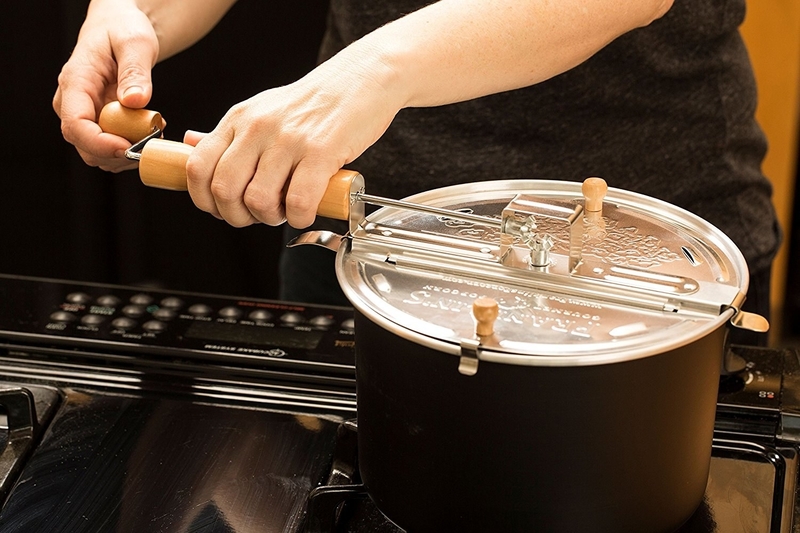 Plus, check out why this rapid egg cooker is Tasty chef approved. 13. A no-mess waffle maker that'll easily make such amazing, diner-quality breakfasts, you'll be willing to trash your expensive fine china just to make room for this thing. 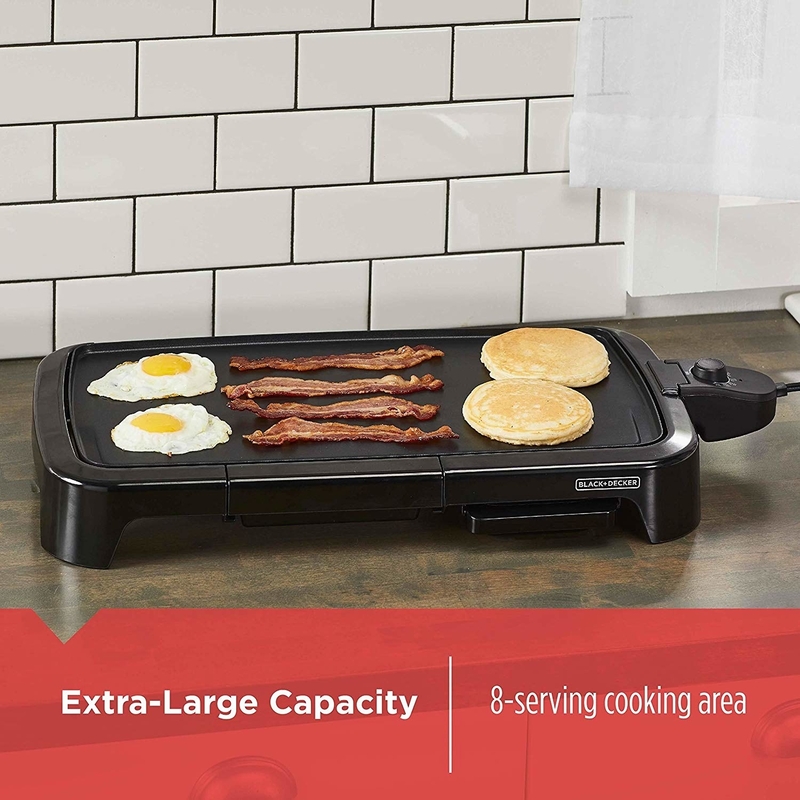 This waffle maker is designed with deeper grids so the batter does not overflow and seep out the sides. It also comes with a pre-measured batter cup to avoid spillage. The grids are non-stick and you can adjust the temperature based on whether you're in the mood for a crispy or dough-y waffle. 14. A 10-piece non-stick cookware set so you can use all the pots and pans you need to make a meal and pop them into the dishwasher. No cleanup = no problem. The set includes a 9.5" fry pan, two quart saucepan with a lid, 11" grill pan, three quart saucepan with a lid, four quart jumbo cooker with a lid and helper handle, six quart Dutch oven with a lid, and a recipe booklet. Get it from BuzzFeed's Goodful line, exclusively at Macy's, for $119.99 (originally $214.99). 15. A mixing bowl with cheese-grating lid inserts so you can ~cut the cheese~ without making a mess. You can also use the center hole as a splatter guard when using a hand mixer. Includes a five quart stainless steel bowl, lid and three grating plates (fine, coarse, and slice). It has a non-slip silicone base and is dishwasher safe. Get it from BuzzFeed's Goodful line, exclusively at Macy's, for $29.99 (originally $42.99) or a similar style from Amazon for $39.99. 16. A bagel cutter so your bagel will be evenly cut and won't end up looking like an abstract art project. Oh, you also won't have to use a sharp knife that might cut your finger off. Get it from Amazon for $24.76. 17. 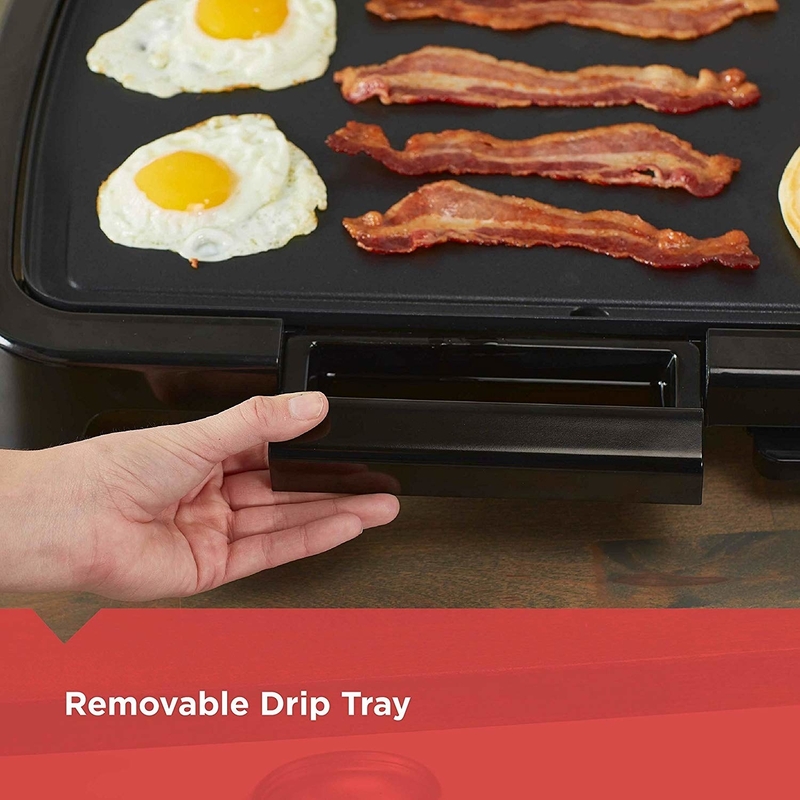 A griddle with a warming and drip tray so you can serve your family a warm and delicious brekky in a jiffy without grease splattering everywhere. 18. 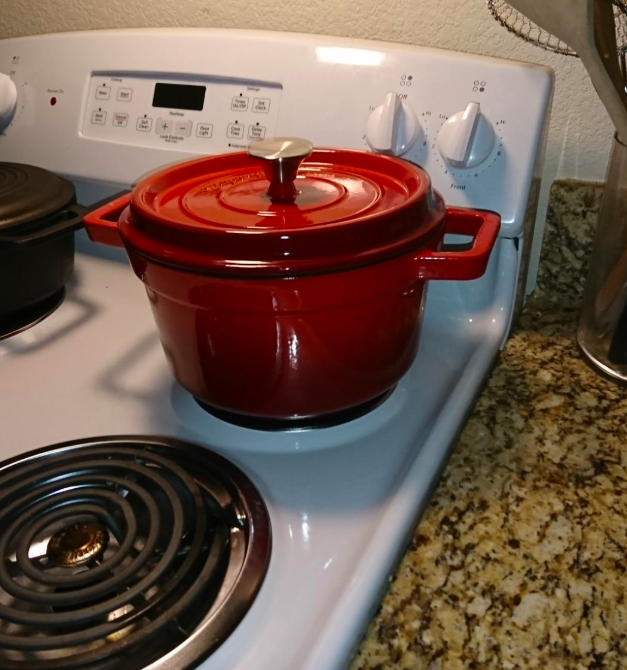 A Dutch oven perfect for making one-pot dump meals like stews or soups, which means less cleanup in the long run. Get it from Amazon for $42.88+ (available in four colors). 19. A three-speed juicer, because you spend a ton of money getting a juice every morning, so you may as well make your own at half the cost. You can fit a whole apple or a whole a peeled orange in the 65mm mouth, saving prep time. Powered by a 400 watt motor, the juicer has three speeds and can juice hard fruits and vegetables *without* leaving pulp and creating foam. Promising review: "I've had this juicer for a few weeks now and absolutely swear by it. I juice various fruits and vegetables every single day and the results are fantastic! The juicer is SO easy to take apart and clean. It even comes with a little brush that works wonders! I couldn't recommend this more." —Ashley S.
20. A old-fashioned popcorn maker so you can get movie theater–quality popcorn in the comfort of your own home. To get delicious popcorn, you put oil/butter, any desired seasoning and popcorn kernels in the pot. Then, turn your stove on medium-high heat and occasionally turn the crank as the oil melts to combine all ingredients. 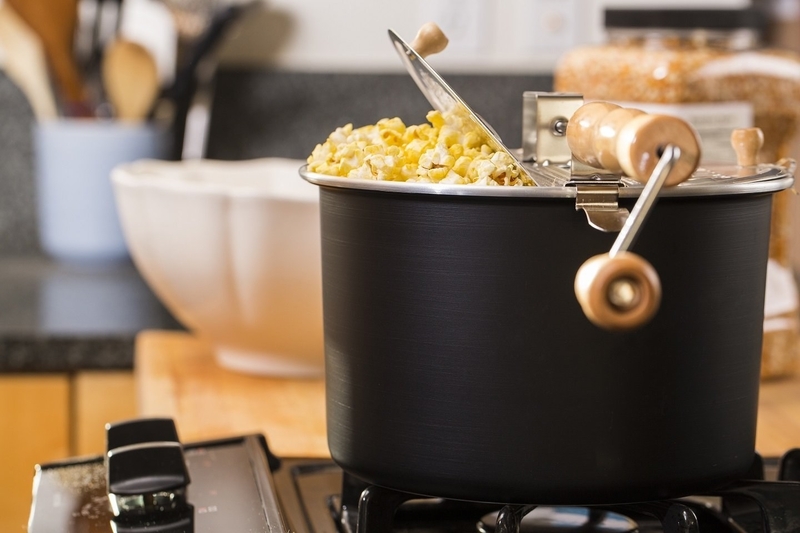 Once the popcorn gets popping, continuously crank to avoid sticking or burning. Cranking will get more difficult as the popcorn fills the pot, and once it is filled to the brim with popcorn, put in a bowl and serve!